A lot of people confuse CTRM software with ERP technology. Of course there a lot of similarities and ERP technology is the bedrock of CTRM systems. 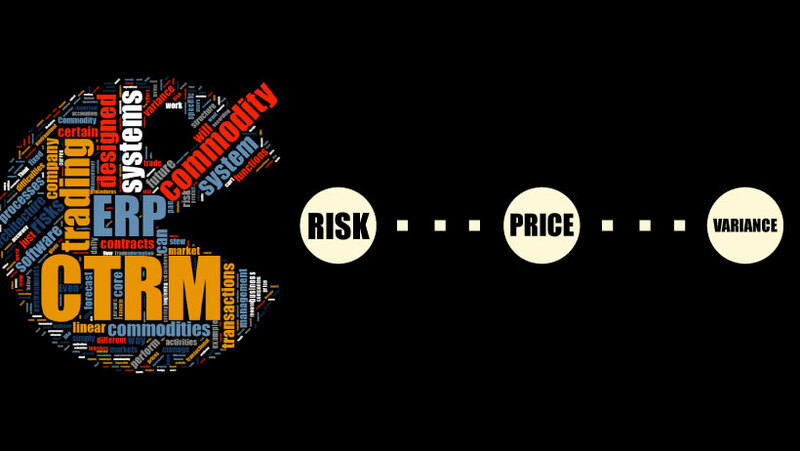 However, CTRM is created to assist the daily specific functions in the complex world of commodity procurement and trade. CTRM or Commodity Trade and Risk Management software is a dedicated software for commodity trading transactions and business processes. Its architecture, applications and functions should assist the daily work of all involved in a commodity trading company. Meanwhile, it offers solutions to the traders and management to control and minimize the risks of the commodity trading activities and the business as a whole. CTRM is the software-pillar for all departments in a commodity company, like logistics, trading, finance, IT and the management. With this core software, employees can perform their daily tasks and transactions accurately and efficiently and in the world of today CTRM is available through cloud solutions and on mobile devices. It is common knowledge that ERP systems do not really cater for commodities companies’ needs. It is the character of the trading business that differs from standard wholesale and/or manufacturing business that creates the challenge. These differences we cannot just overcome by adding functionality to an ERP, it requires a fundamental different approach. You simply can’t use the same pan to cook eggs, pasta or stew meat. Even if you manage to fit the stew inside an egg pan, you will not be able to cook it properly. Parts of it will be spilled out on the kitchen stove. So it works with the commodities businesses. You simply can’t have your ERP system perform all your commodity functions, transactions and risk monitoring. Even if you attach 10 more “Add-ons” offered by the ERP supplier, still your “stew” will be spilling out of the pan while you are cooking it. ERP software supports standardized wholesale, manufacturing and services environments. ERP supports these environments from a transactional perspective and integrates with accounting applications. Its architecture eliminates variance in processes to ensure adequate production processes, related transaction management and accounting processes. In the end most ERP’s reduce complexity and record transactions and value based on concepts like Bill of Materials or Work Break Down structures. ERP is usually centered about creating certainty and defining cost. CTRM instead, does not reduce complexity, it enables companies to use complexity and with variance to their benefit. And this complexity and variance is intrinsic to commodity businesses. At the start the quality aspects of soft and agricultural commodities may vary during the lifetime of these commodities and form the basis for the spread in monetary values and risks in trading. Down the road, one trades commodities in different markets and different currencies under different terms and thus the monetary trading values differ in different environments as well. CTRM enables a company to manage these complexities and benefit from then, not just to eliminate them for process or accounting purposes. CTRM is usually centered about opportunity and value. ERP applications mostly offer different application environments for different the activities impacting value. Interdependence between activities or variable value drivers are usually difficult to manage in ERP systems. For examples when a company is using dynamic price curves, trading or hedging strategies. In an ERP environment there are limitations in viewing and using combined data information from for example contracts, commodity hedges or currency swaps, and thus limits integral position management, valuation and forecasting. A CTRM tool designed for commodity procurement or trading is based on long/short position management. CTRM enables companies to manage hedge portfolios either intrinsically or through the use of derivatives and/or swaps. CTRM gives you freedom and agility in portfolio valuation and forecasting. ERP systems are usually cost oriented and use fixed/cost prices to plan and project certain things. In commodity industries this approach is too restrained. It is the versatility and the variability in prices that matter and ERP applications have difficulty coping with that. For example capturing or using “to be fixed” pricing structures, or fluid logistic terms have proven to be difficult to manage for ERP systems. CTRM systems solve these “issues” of future priced contracts or variable delivery terms. Commodity Trade and Risk Management systems cater for flexible volumes, prices and delivery dates without such restrictions of ERP systems. Since the orientation of CTRM is on value rather than on cost, it enables companies to make pricing decisions based on value rather than on cost. Most ERP software systems have a rather linear architecture, such reflecting the structure of the business they support. This means that they follow a certain line of functions and execute transaction according to their structure. Think, for example, a Work Break Down structure, a Bill of Material, a Recipe, or simply a departmental structure of a company. When you would picture such a structure you could imagine a pyramid of rectangular with linear association to each other from beginning to an end. Transactions and value development through the structure would follow a rather predefined and mostly sequential flow. CTRM systems have a unique and far from linear architecture. The architecture needs to cope with the versatility and variance and needs to support creating value from it. One could envisage such as a combination of a diamond type of a structure combined with a spiral funnel. Even though we could observe an initial linearity, transactions and value development through the structure would follow an iterative and unpredicted or even paradox path. This is the essence of a CTRM! The architecture! The Architecture is the core of your system and has to be compatible to the characteristics of your business. The aforementioned limitations in the structure and capabilties of ERP systems prevent ERP in the most important need of the commodity trading business: managing value and risk. Commodity business have critical differences from wholesale or manufacturing or services businesses. They are just not so simple and straightforward! Even within the commodity industries there are differences. The rules of the game, the terminology, contracts, calendars, trading methodologies are just different for different commodities. But also from company to company. So if an ERP cannot adequately capture transactions, cope with versatility and variance, and supports mainly linear processes, how can it adequately support commodity risk? The functionality of CTRM software overcomes those difficulties in managing your commodity business. These ERP cannot perform efficiently due to its cost orientation and its linear architecture. Managing long/short positions, hedge portfolio’s, variable pricing, forward price curves and a value orientation is the ‘right to exist” for CTRM systems. For a commodity trading business or even a procurement business a CTRM with the right business fit is a prerequisite for short term performance and long term existence. When selecting a CTRM for your business, you better choose a� CTRM system that supports the characteristics of the commodities you manage.